Throughout the course of a marathon or long training session an athlete has to pay close attention to hydration and fueling strategies. This not only helps maximize performance, but it will also help prevent complications. We’ve all heard horror stories about runners trying new products that end up doing more harm than good. It’s important to realize that each individual absorbs nutrients differently. This means what works for your training partner may not work for you. Therefore, experimenting with products, and fueling strategies is the best way to ensure you’ve done everything to perform at your best. Below you will find some common fueling and hydration mistakes that can occur during a marathon, and tips on how to prevent them. 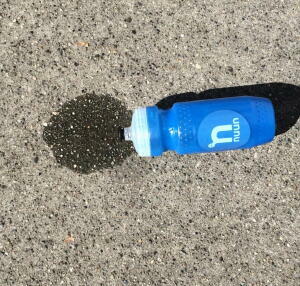 Athletes that drink only to avoid thirst and take in calories only when they feel low often end up running on empty. Overconsumption of fluids is starting to become more and more common during long running events and marathons. – Experiment with different amounts of fluids until you find a range that works best for you. – Do not exceed 24 fl oz per hour. This is the maximal rate of intestinal absorption and anything more may lead to Gastrointestinal distress (3). – Drink electrolyte-rich beverages to help your body make the most of the water you’re drinking. - Electrolytes (sodium) help the body process and retain water, and get water to muscles and cells (1,2). Give your body too much time in-between meal and training sessions, and you may bonk. But if you give your body too little time in between eating and training you can experience Gastrointestinal distress. It’s important to practice timing, and find a window that works best for you. – 30 minutes after your workouts, consume a carbohydrate and protein rich beverage to maximize training effort. Every runner at one point or another has experienced these issues. The good news is that they are preventable. It just takes a little practice, to find out what works best for your training.